The Port Range Triggering feature allows you to set up the router so that computers can access public services outside the network or on the Internet, such as web servers, File Transfer Protocol (FTP) servers, email servers, game servers or other Internet applications. 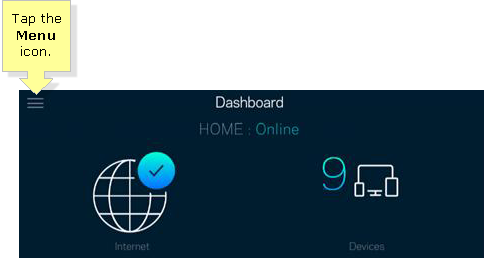 Configuring the Port Range Triggering feature of your router is made easy using the Linksys app. You can even set up Port Range Triggering of your router remotely. If you are a DSL Internet subscriber, your DSL modem should be set to bridge mode. Consult your modem's documentation or online help for instructions, or contact your Internet Service Provider (ISP) and request that your modem be set to bridge mode. Tap on Port Range Triggering. 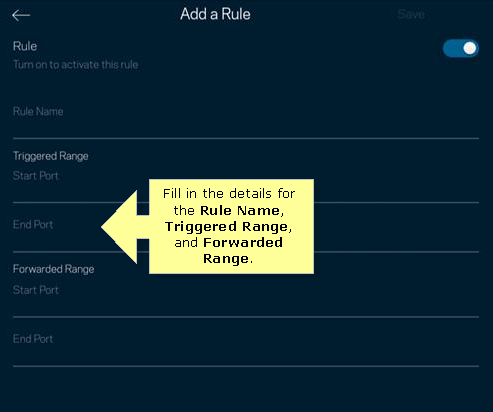 Fill in the details for the Rule Name, Triggered Range, and Forwarded Range. You have now successfully configured the Port Range Triggering feature of your router.